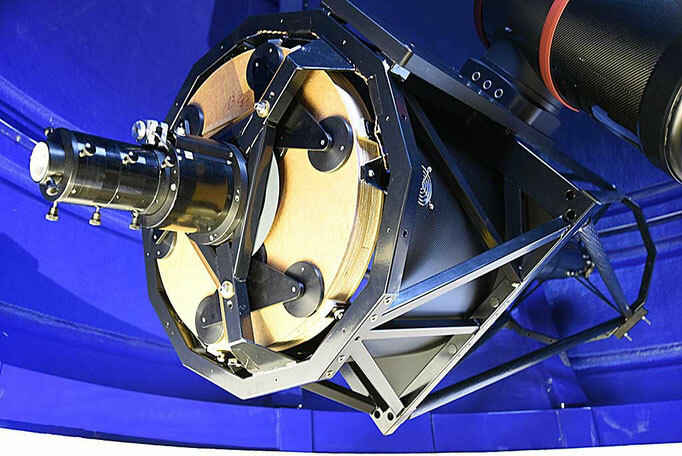 Astrosysteme Austria (ASA) made the optical tube assembly to the specifications of my f/10.4 Cassegrain optics: 62 cm f/3.4 cellular primary and 20cm secondary mirror. During the construction of the truss tube, ASA made a wooden model of the primary mirror. 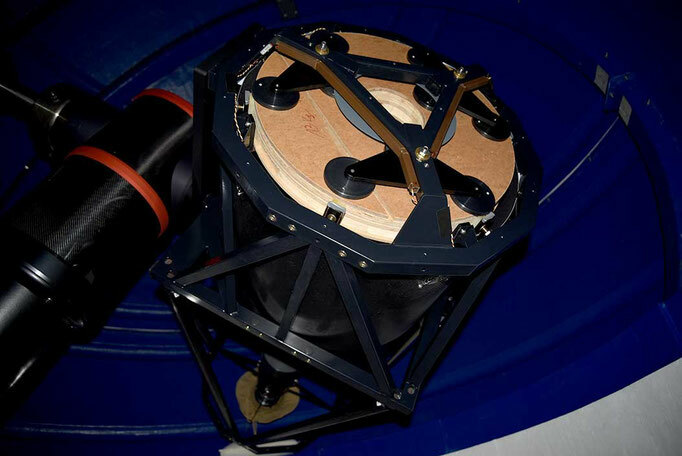 The mirror mock-up aided in forming the mirror cell, controlling the profile and placement of lateral ball-bearing loaded pressure pads, and in balancing the truss tube. The Dream Cellular mirror has an extended surface rim. The 9.4 mm thick surface layer has a larger diameter than the cellular base, so the rim extends six millimeters from the cellular base. 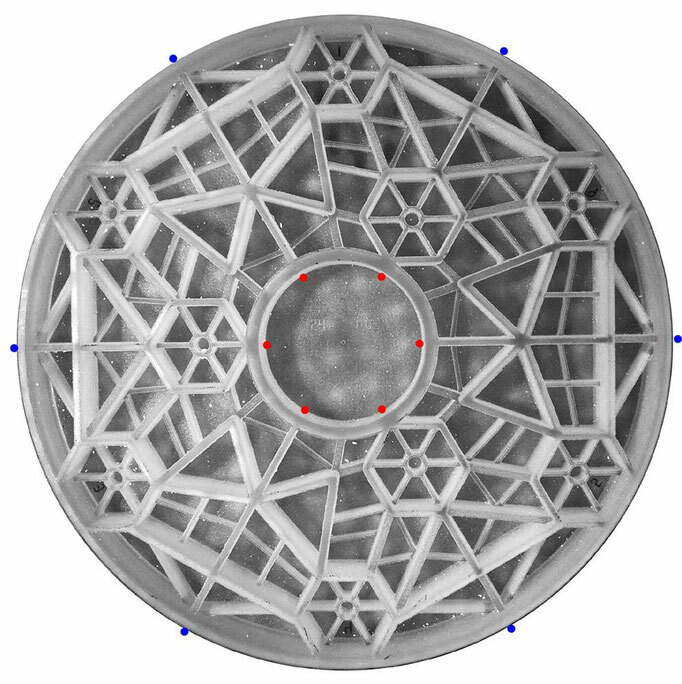 Because of the complex rib geometry, the primary mirror is low mass (17 kg, - if it was monolithic it would be 50 kg). 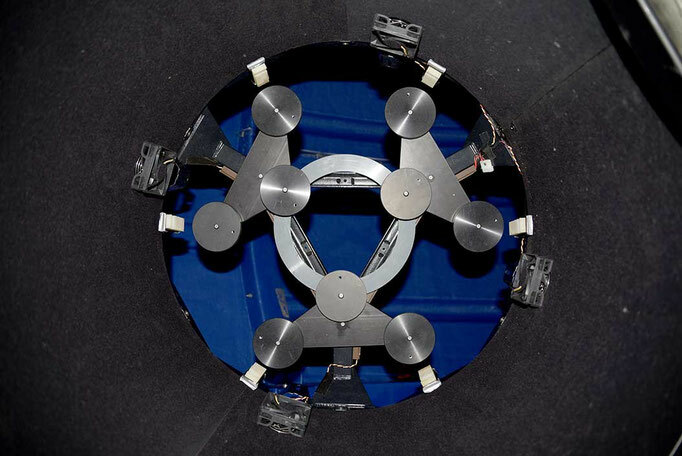 Six nylon lateral pressure pads prevent the mirror from shifting in the cell. In addition, each lateral pressure pad slides vertically on six ball bearings. 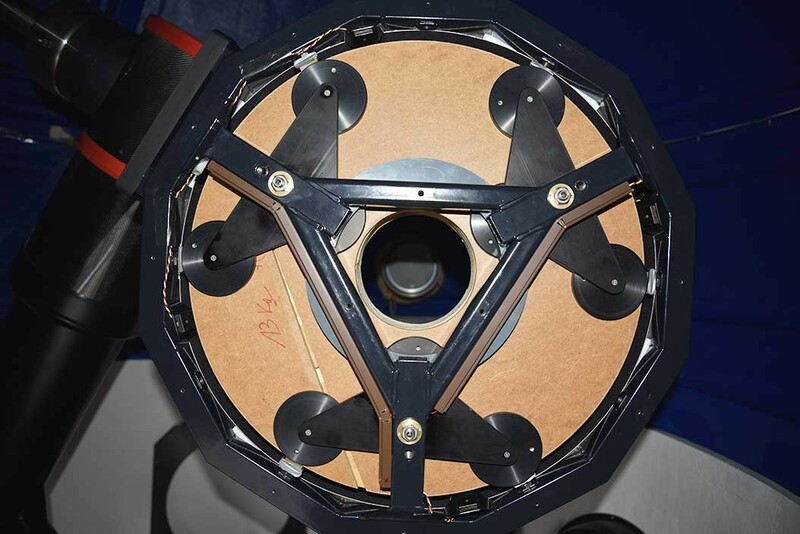 This allows vertical movement of the mirror during collimation adjustments. Four retaining clips prevent the mirror from falling out of the cell if the telescope should accidentally point below the horizon. The flotation pad assembly is made of anodized aluminum. A steel ball pivot supports each pad. A triangular steel frame supports the flotation assembly. The frame is welded to the back of the mirror cage. Thus, one must insert or remove the mirror from inside the tube. 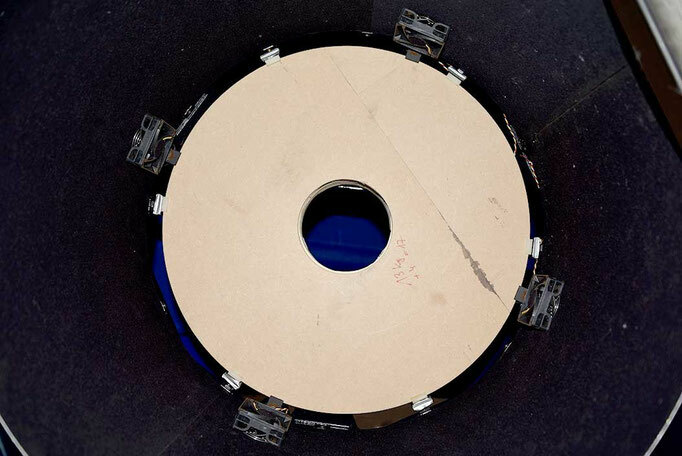 Although a removable cell would make mirror insertion and removal much easier, ASA's non-removable cell design makes a very stiff mirror cage. 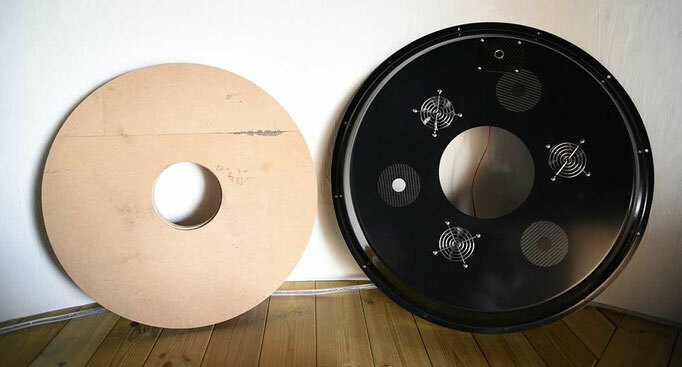 The 13 kg wooden mirror mock-up made it possible to carry out a low-risk trial installation of the 17 kg primary mirror, - a very delicate operation.